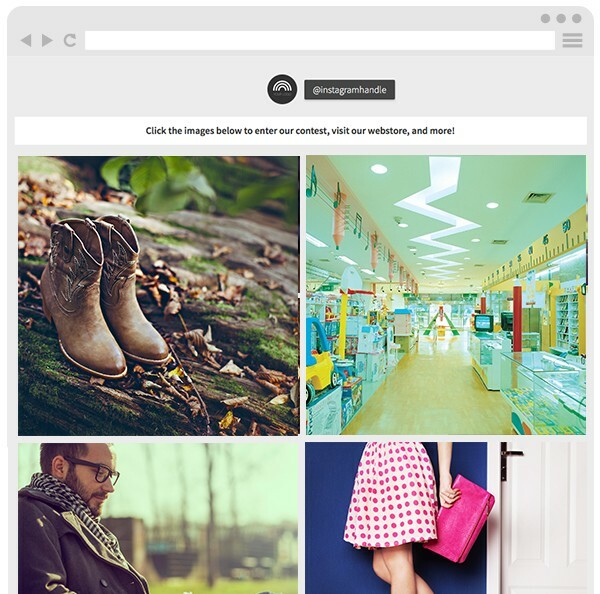 Have you been looking for ways to use Instagram as a marketing tool, perhaps even as an ecommerce solution? We’ve got a sweet new template that fits the bill (we’ll get to the details in a minute). As Instagram becomes ever more popular, it’s natural for businesses to want to figure out effective ways to use the platform for sales. Instagram recently announced it would be allowing advertisers to sell products through the app, and is currently said to be testing a variety of formats that would allow advertisers to sell products, promote app downloads or solicit sign-ups to newsletters or other content right from their posts. Until Instagram’s built-in options are widely available, there are also some Instagram shopping solutions currently used by big brands, including Curalate’s Like2Buy (favored by brands like Pottery Barn, Nordstrom and Sephora), Piqora’s Tapshop (One Kings Lane) and StyePick.it. The challenge for many brands is that these existing solutions, are all expensive — costing hundreds or even thousands of dollars month. This is where ShortStack comes in. Not every company has the budget these big brands have, and we’re always looking for ways our users can make social media trends work for them. Our number one recommendation is to not let yourself be limited by one particular platform. Instead, build campaigns that you link to from everywhere, or embed on your website. Our latest template lets you build a campaign that you can link to from your Instagram bio — even creating a custom domain (!) 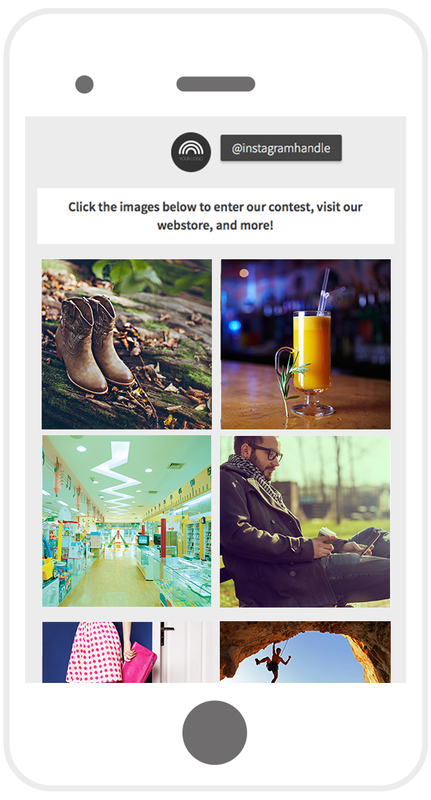 — and then add links within each image that allows your fans and followers to shop, download, signup or do whatever you want them to do — right from your campaign. To see details about how this template works, just watch the video at the end of this post. Now more than ever, Instagram users will be using the native Instagram app to consume business’ content. Make the most by “locking down” that one link, then using a tool like ShortStack to change the content of the link as needed. And don’t forget to check out one of our most-read posts, 118 Instagram hashtags you should be using for business and more.